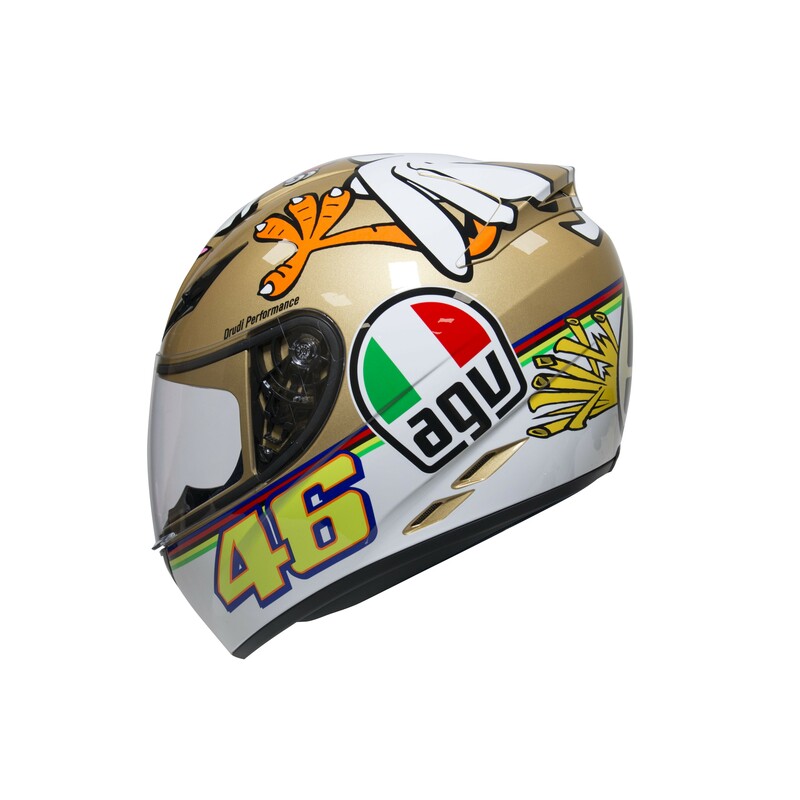 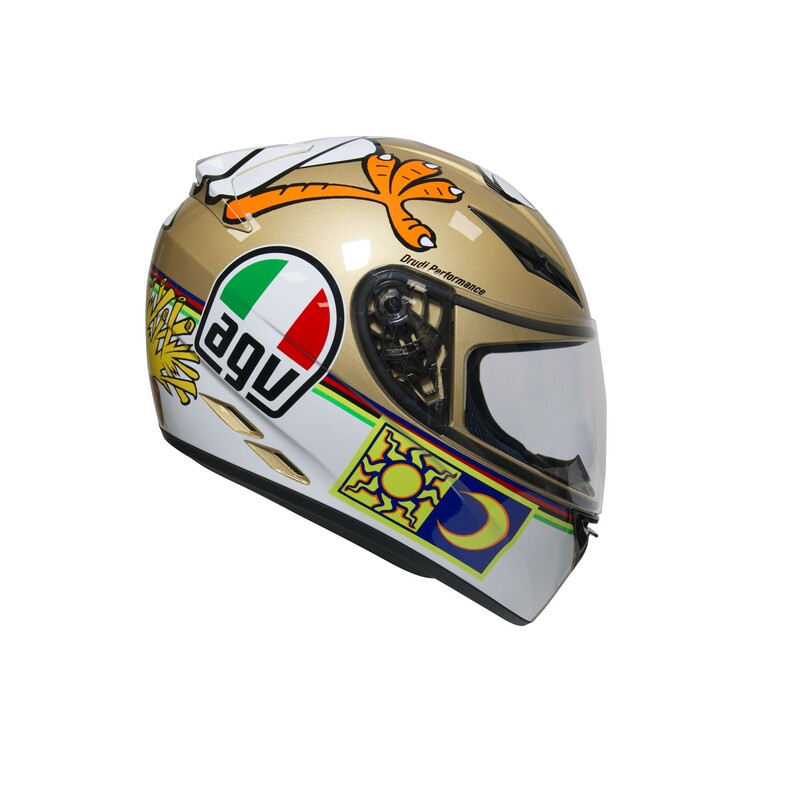 The AGV K3 helmet offers fantastic value for money. 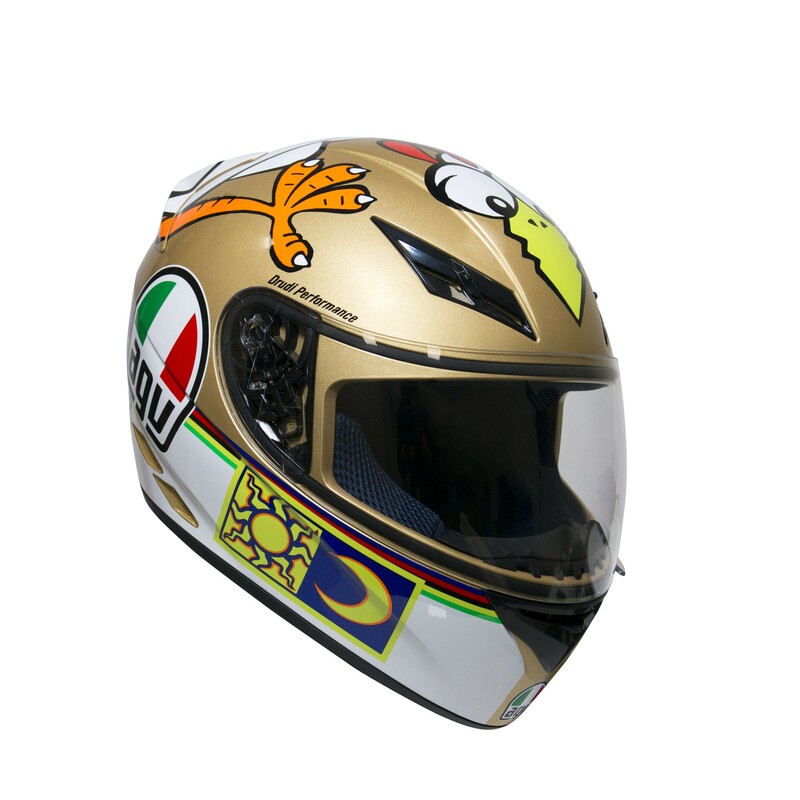 Features on the K3 include a removable inner lining for ease of washing. 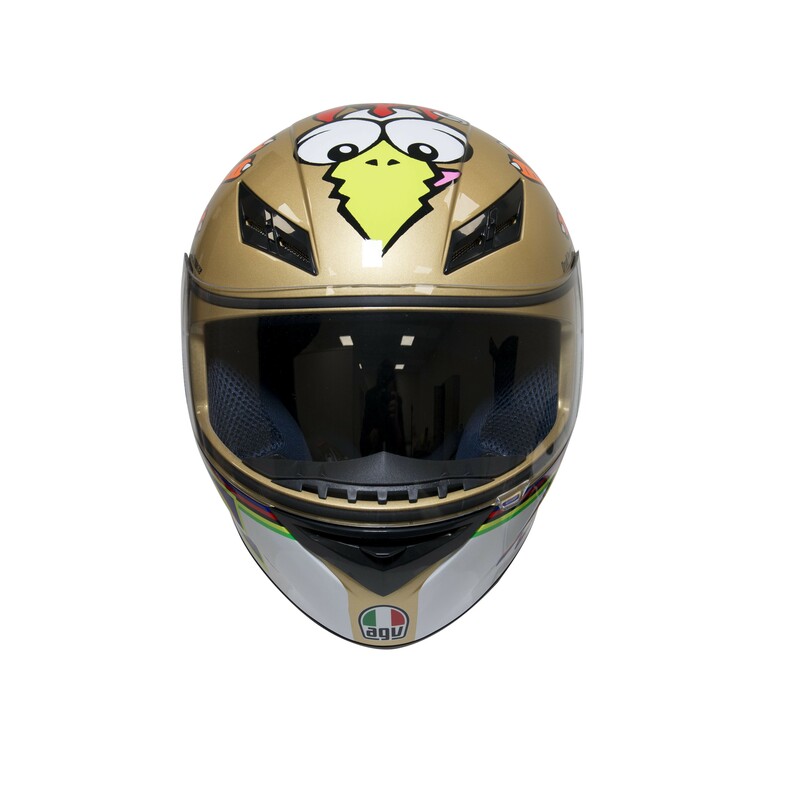 New for this year is the Valentino Rossi 'Chicken' replica. 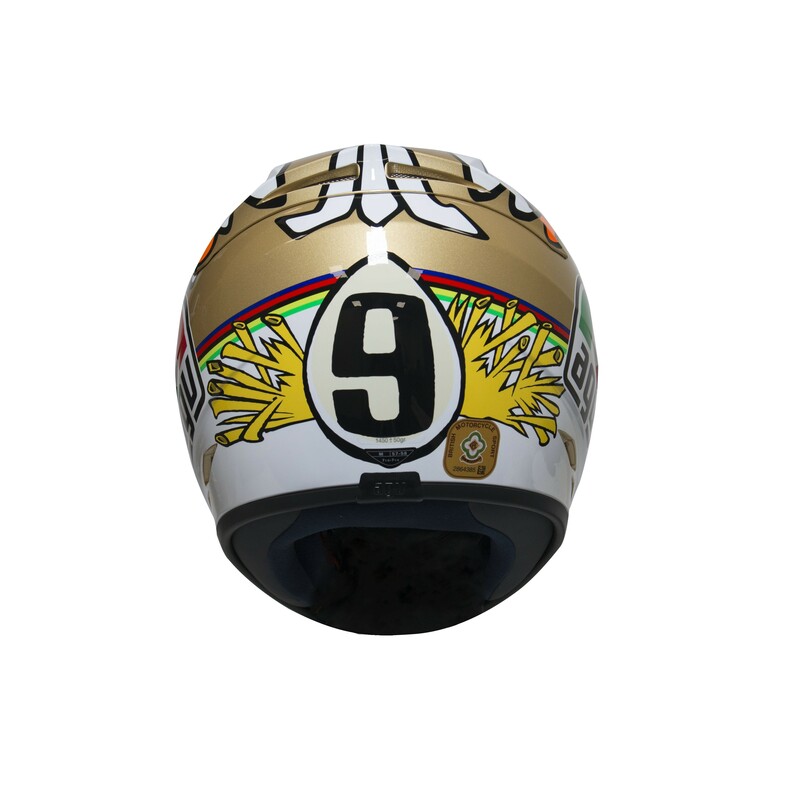 This paint job was used to celebrate Valentino's 9th World championship title.